LAUNCHING PUMPKINS - SOUND FUN? IT SURE DOES! Join Discovery Cube at Cal State Fullerton for our annual Pumpkin Launch event! Pumpkin Launch is an exciting day filled with family-friendly activities, hands-on challenges, flying pumpkins, and family fun! 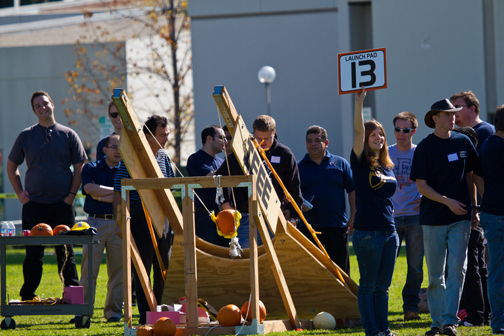 Bring your lawn chairs and witness history at this free event as teams compete to see who can launch a pumpkin at targets using giant trebuchets and other devices. Plus, kids can participate in hands-on activities throughout the day. Don’t miss this great family event! This looks like so much fun. What a way to end Halloween festivities with a bang..hehe! Register for this event HERE! +DiscoveryCubeOC .